The Masamune Teflon Coated Cylinder Kit for VSR10 / JG BAR 10 / R700 / G700 is designed to reduce friction in order to maximize efficiency. Note:Custom Fitting may be required for some applications. 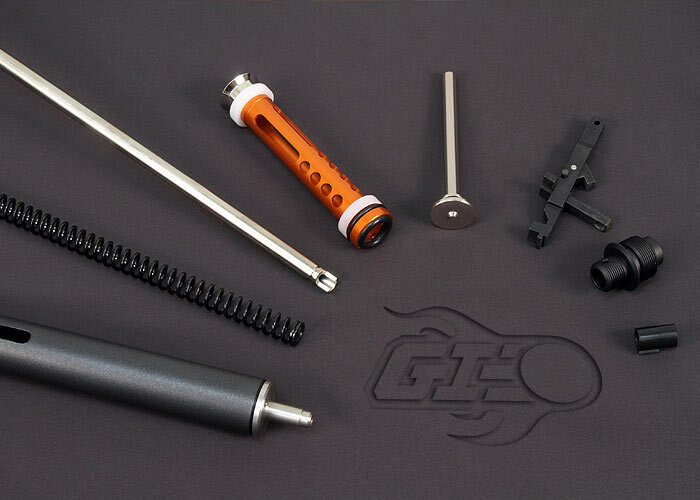 Note: Kit does not include spring, spring guide, hop up bucking, sear set, piston, barrel, or threaded barrel adapter. Installation by Professional Airsoft Technician is recommended. This product is awesome. But I had to file a piece down. For me, where the bolt handle and the bolt cap sits into the cylinder is where I needed to file. Although I don't mind doing a little DIY to make it work, I wish I didn't have to. Just showed up yesterday. Like a few other people the bolt cap won't fit. I've been fileing away at it but so far haven't gotten it on. It's a little disappointing. Bolt cap won't fit and has to be filed. 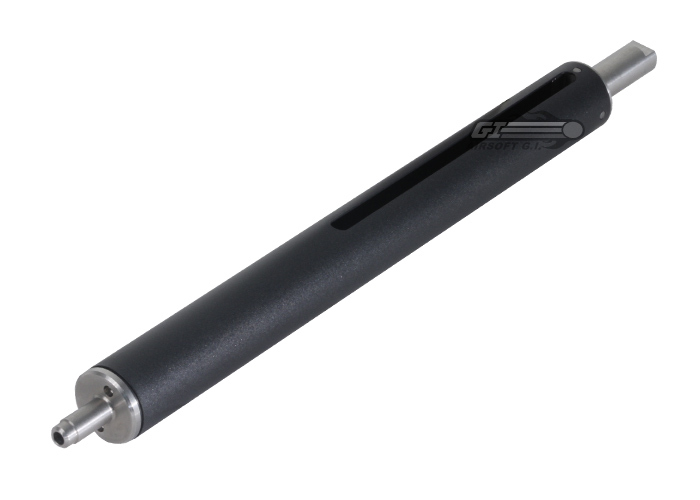 I ordered this cylinder for my JG Bar 10 upgrade platform and was not happy with it immediately due to it's inability to work with the bolt attachment, out of the box. Then after about 10 minutes of searching on forums I found that you are supposed to file the end yourself to get a perfect fit (about 3 minutes of filing total.) After that I have had no problems whatsoever with the cylinder and as long as I keep it oiled it works flawlessly. ~Hasn't broken since purchase and probably won't break at all. ~Good seal and functionality right out of the box. ~Works with stock and upgraded parts. ~You will have to file the bolt connector down to fit snugly. ~Is a slightly lighter shade of black that doesn't really perfectly match the rest of the stock parts.